Many residents and businesses in the Atlanta area need storage for moving, either because your new location isn’t as large as the previous space, or your new space isn’t going to be available right away. For these instances or any other that requires storage and moving service, the moving professionals at Bulldog Movers are here to help. Along with our outstanding moving services, we also offer clean, dry, secure storage space in our 40,000-square-foot facility. Our warehousing staff has extensive training and experience, and spares no detail in ensuring the safety of your residential or commercial belongings. 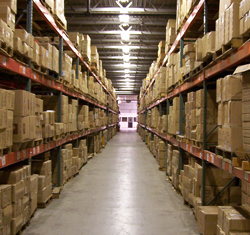 We store items in sturdy wooden crates and place them in our secure racks with the use of state-of-the-art forklifts. No one without authorization will get to your items as long as they are in the care of Bulldog. Our facility also features fire-protection systems and advanced security systems. The exceptional services we offer have earned our company an A+ rating by the Better Business Bureau. We are also the only Atlanta area movers to earn the Consumer’s Choice Award – nine years in a row. When you need storage for moving, turn to the area’s most highly regarded moving company – Bulldog.